Catering to customer demands in a world where web design is competitive can be a daunting task. You know deep down that your product is unique and matches all the mentioned features. But knowing and making effective changes are different things. It’s time to change your strategy and switch over to a more effective and hassle free fix. Without further ado, let’s get digging. 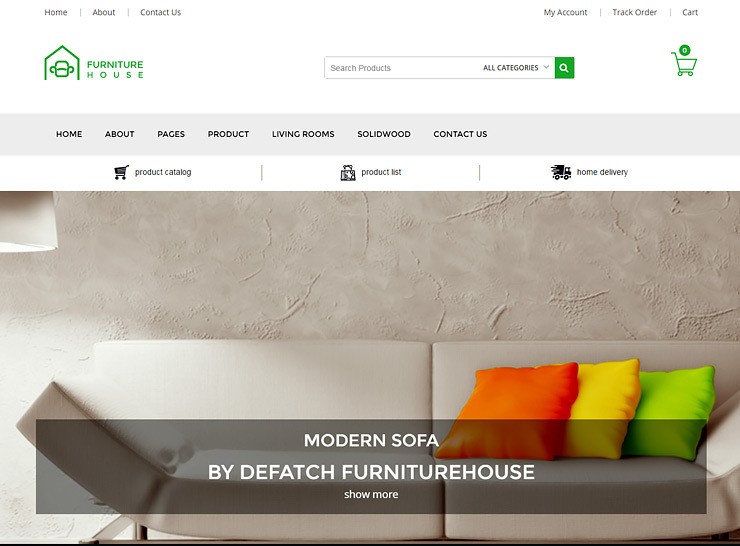 All these furniture store WordPress themes themes require a self-hosted WordPress site. 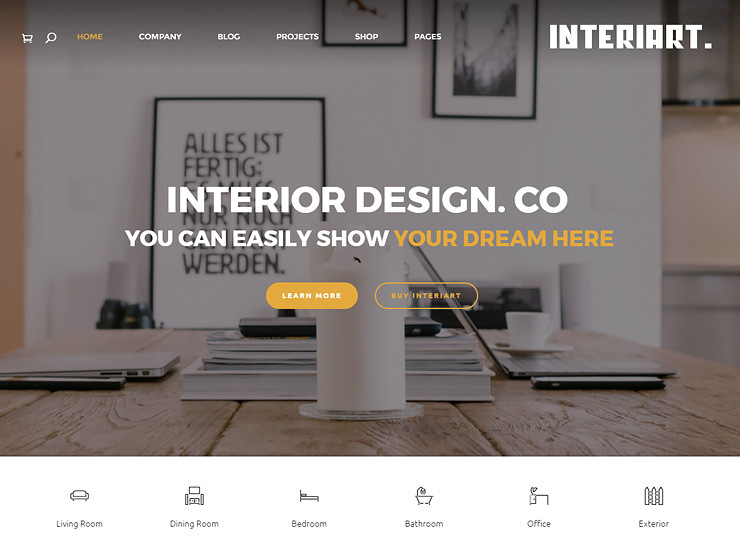 Canvas by GT3theme is a dedicated interior design and furniture portfolio WordPress theme that focuses on professionalism and better user experience. Developed on HTML 5 and CSS code, it has a fast and clean design that does not compromise on functionality. Canvas is compatible with WooCommerce for taking care of your e-commerce needs. It comes with GT3 page builder which is a drag and drop page module system. Comes with Revolution Slider which allows you to display your content in a beautiful manner. Responsive on all devices and is retina ready right out of the box. Supports over 650 Google Fonts and more than 430 Font Awesome icons. Offers a wide range of options for showcasing your products. 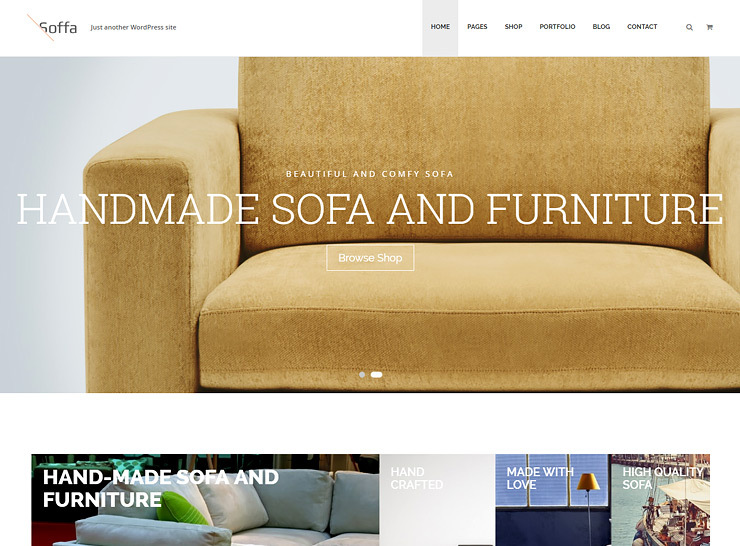 Dash by transparentideas is a furniture showroom theme with WooCommerce functionality. You can enjoy features like box layout that help you structure your content. With Dash, you can run a blog that focuses on the customers. In addition to this, it is built using the latest web technologies such as HTML 5 and CSS which offer a cleaner and optimal experience. Responsive and retina ready theme looks good on all devices. Select colors and layouts using the theme’s built-in control panel. Allows dynamic sorting of the product listings. Comes packed with custom page builder elements. Easy installation and configuration. Sample data and shortcodes included. 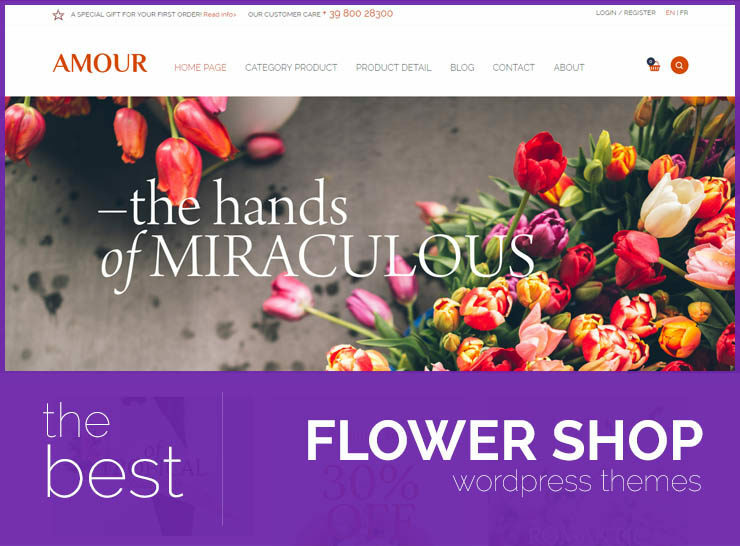 A WooCommerce integrated theme that allows you to manage your business with great ease. Soffa by tokopress features a clean design, complete with organized layers that allow you to manage the theme. This theme allows you to customize your logos with ease. It comes packed with some premium and free plugins. Also included in the package is dummy data which includes posts, product, and form templates to save you time. 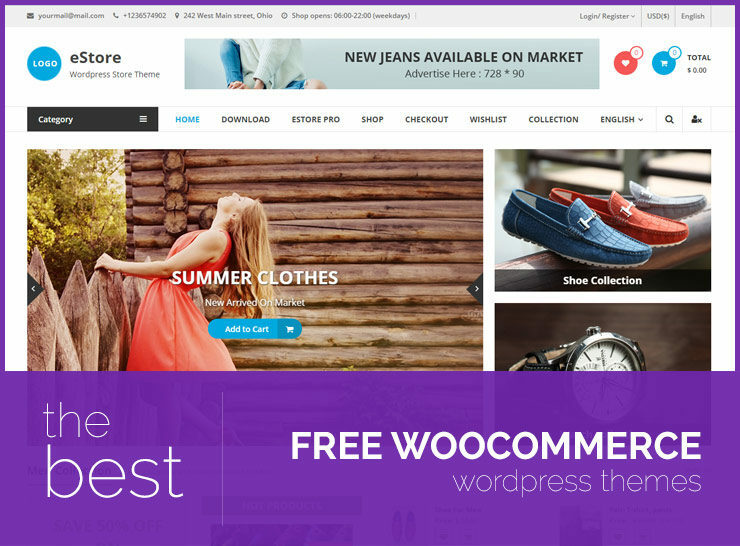 Includes premium plugins “WooCommerce Product Enquiry” and “WooCommerce Product Quotation” by XtensionPress. Packed with Visual Builder premium plugin to make the customization easier. Includes and integrates with “Mailchimp for WordPress Lite” for free to help organize your email marketing. Extensive documentation to avoid any trouble during installation and configuration of the theme. The design is responsive across all devices. 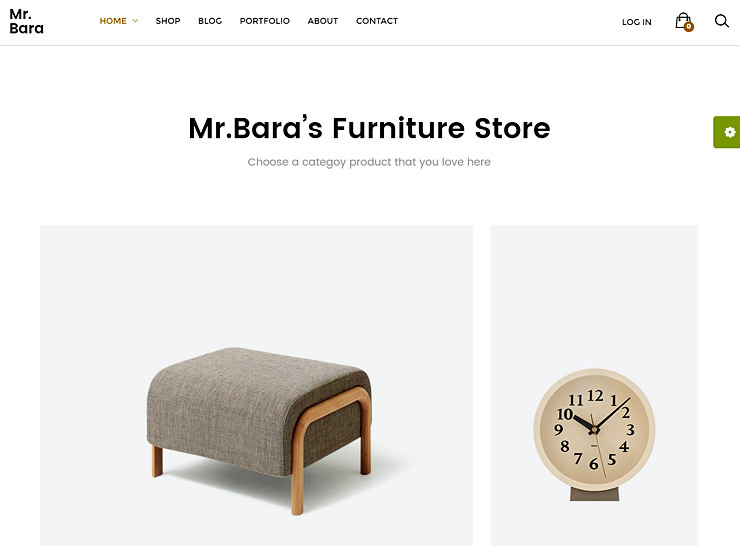 Modern and unique, Mr.Bara by drfuri is a WordPress shopping theme that includes everything you need in a lightweight package. 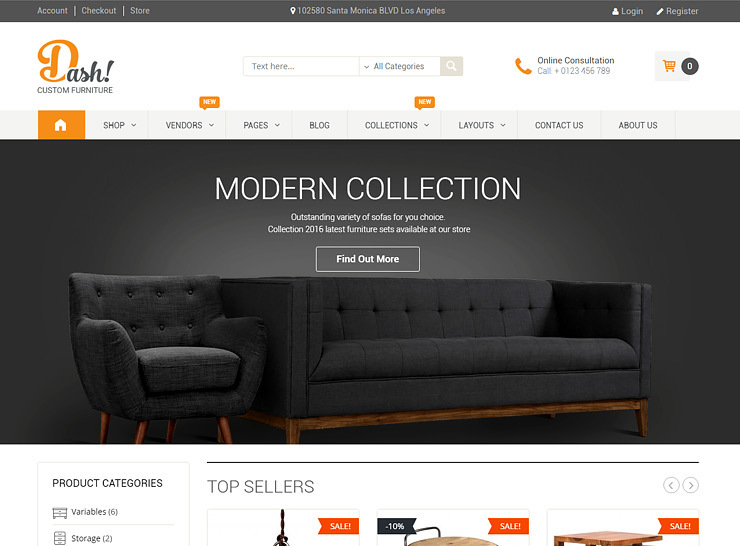 Be it a clothing and accessories store or a furniture shop, this theme can appeal to many online stores. Built on Bootstrap and powered by the Visual Composer it lets you customize with ease. Full control over your content makes it even more of an enticing solution. Offers 46 predefined page layouts that save you time. Comes with AJAX filter that helps you filter products by attributes. Enables the users to view live changes as they are being made. Helps in managing the order by keeping a track on the orders at all times. Offers different blog layouts (Grid, List, and Masonry). 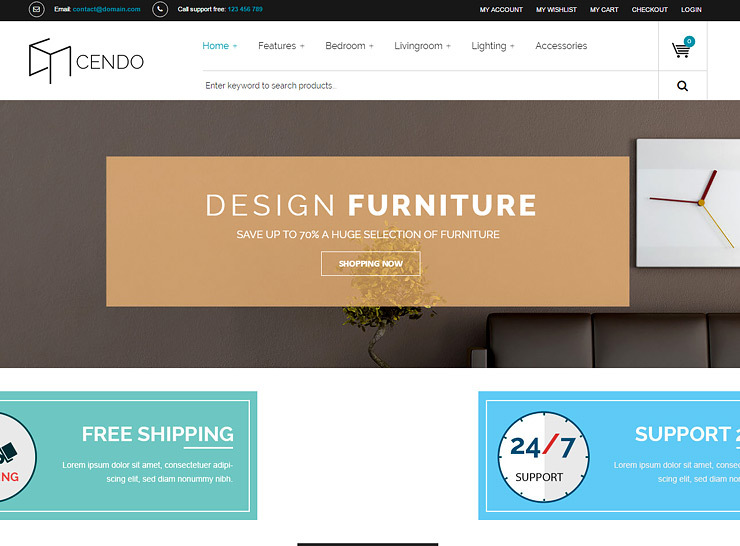 VG Cendo by VinaWebSolutions can boost your online business with its unique theme layouts and box layouts. It comes with a variety of background colors and images from which you can mix and match to get various styles. Included in the package are premium plugins like Slider Revolution and VG WooCarousel. Boosts your conversion rates with WooCommerce instant search. Responsive Mega Main Menu plugin offers customization options. Support for Shortcodes Ultimate plugin. This enables users to create tabs, boxes, buttons etc. 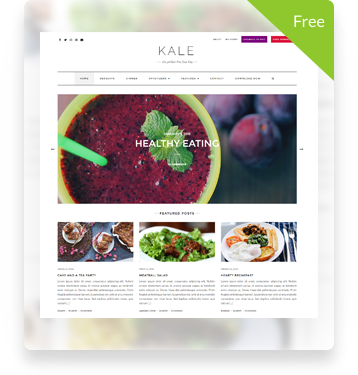 Offers WP Bakery Visual Composer; a drag and drop page builder that lets you build any layout you can think of. 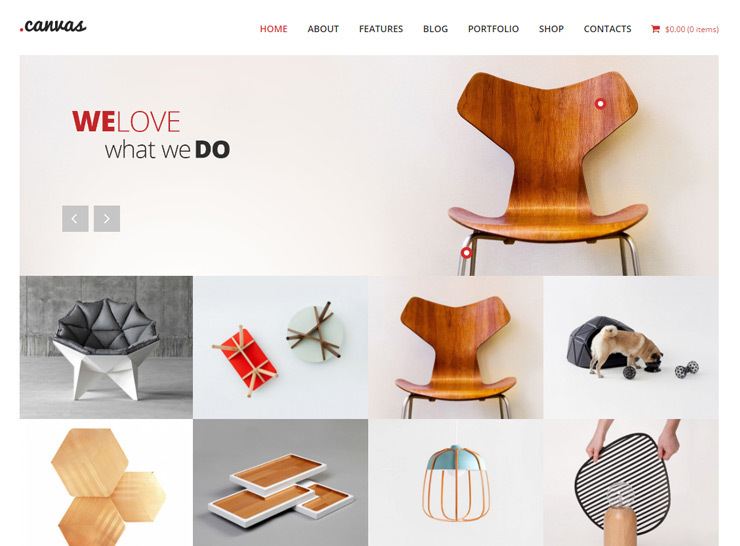 Looking for a modern theme that revolves around furniture and interior design business? IntriArt by plazart can be a great pick. Built on modern web technology, it offers advance background options and supports popular plugins. Let’s see what other features it has to offer. Comes with Visual Composer which is one of the most flexible page builders for WordPress. Offers 3 home versions and 3 header and footer styles. Enables you to customize your complete website with the help of styling options. 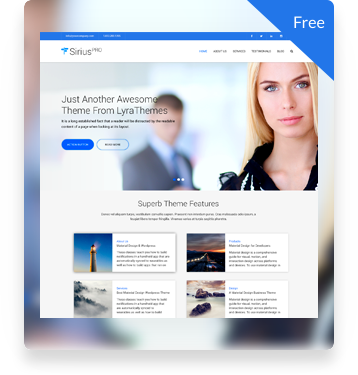 Compatible with plugins like Contact form 7, Slider Revolution, and Visual Composer. Offers advanced blog and post options. Enables real time update with WordPress LIVE Theme Customizer. Offers a layered navigation sidebar AJAX filter that allows filtering product without reloading pages. Comes with optimized code which is compatible with most SEO plugins. Includes premium-quality support for the users. Allows you to choose from unlimited skins and you can also create your own. 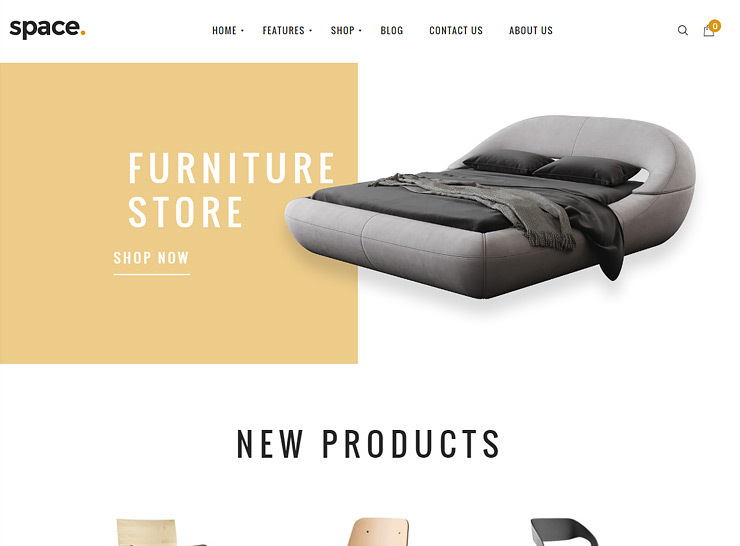 Furniture by WPmine is a furniture showroom theme that comes with an easy to use admin panel which allows you to fully customize your online store. 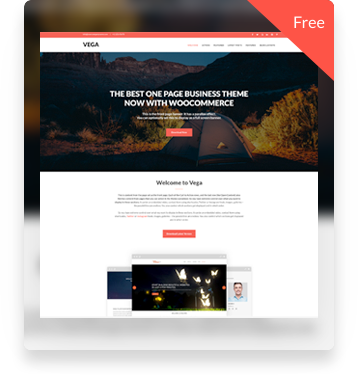 This theme is compatible with WooCommerce which lets you track your sales. Customization is a breeze with the Visual Composer page builder and Revolution Slider. Mobile and tablet friendly theme that works on all devices. Enables the users to select different fonts with Google Fonts. Dedicated support team which is ready to help the users around the clock. Comes with 30+ custom shortcodes. Provides the option of CSS3 effects and animation. 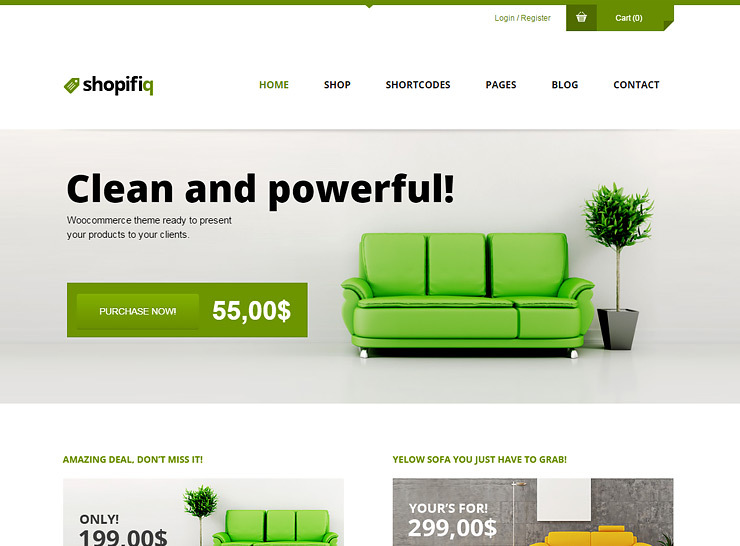 Shopifiq by Anps is a unique, multi-purpose theme that integrates seamlessly with WooCommerce. It’s built on the latest web technologies like HTML5 and CSS3 which makes for a faster and cleaner user experience. Demo data installation is a breeze because of the shortcode system. With a customizable page layout, you can provide your customers with a unique experience. Unlimited color option with back end color picker, and 10 pre-built color schemes and 5 home page layouts to start with. Responsive on all devices and lets your client decide whether they want it responsive or not. Insert dummy data in demo install and get started on designing your website. It has several options for customization, such as a wide and boxed layout, 8 different blog views, 2-4 column portfolio. Compatible with lots of widgets including Google Analytics to track your website traffic. More than 500 Google Fonts to choose from. 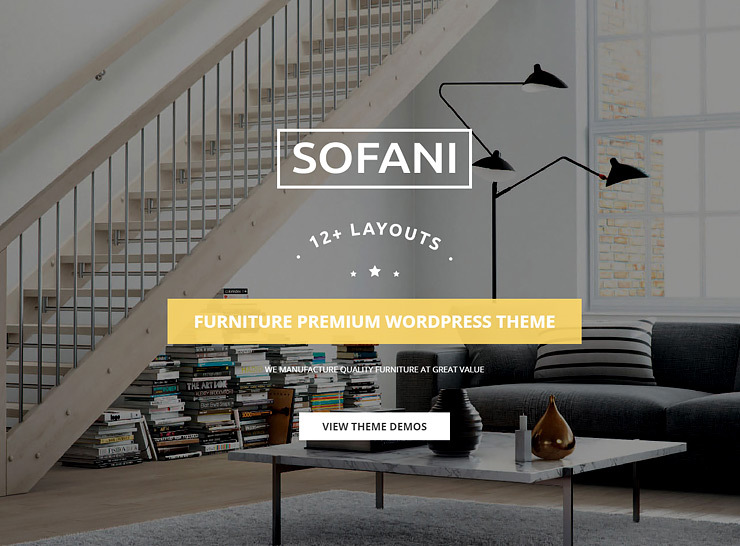 A theme for interior decorators, exterior design firms, and furniture showrooms alike, Sofani by Yolo Theme is a great product. It offers a bundle of plugins including Revolution Slider and Visual Composer. These plugins help you customize content according to your client’s preferences. With this you can also showcase the latest designs with the Home Look-book and Home Sidebar. Supports Contact Form 7 plugin that allows the users to create custom forms. Built on Redux framework that gives users access to a variety of plugins and error handling. Offers pre-defined page layouts giving you room to experiment with different page layout designs. Immediately customizable and scalable vector icons. Bundled with 30+ layered and editable PSD files.